Continuing with the stupendous performances of the recent past, the MARATHA LIRC wrestlers have again struck gold in recently held 8th All India Invitation Wrestling Tournament from 05 Oct to 11 Oct during Dushera celebration at Mysore. The prestigious tournament has seen participation from best wrestlers from across India. 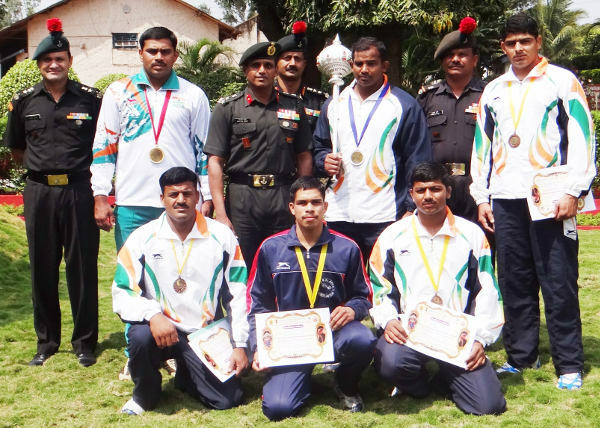 The MARATHA LIRC wrestlers Won 03 Gold, 01 silver & 04 Bronze Medals. Sep Ananda SH was awarded “State Karnataka Kesari Title”for his outstanding performance.